Take the advice of experts by contacting a professional if you suspect you need an air conditioning replacement in Apple Valley. Your system may sound like it's on its last leg; however, an AC technician can troubleshoot your AC and determine whether an affordable repair will restore efficiency and function, saving you hundreds or even thousands of dollars over a replacement. Consider AC Plus when you need the advice of a heating and cooling specialist- we're always happy to help. How Can I Extend the Life of My AC Unit? Scheduling annual maintenance is a great way to get more life out of your cooling system. Affordable maintenance and tune-up services from AC Plus are designed to fit your budget and keep your AC running efficiently all through the cooling season. Our customers tell us they find real value in our maintenance plan that prevents breakdowns throughout the year and keeps their ACs running like clockwork from one year to the next. When Should I Consider an AC Replacement? If you suspect a problem with your air conditioner, request a repair visit with a reliable technician in your community. AC Plus offers 24/7 routine and emergency repair service. If your technician recommends replacing your system with a new, efficient AC, you could benefit from the replacement with lower energy bills month to month. 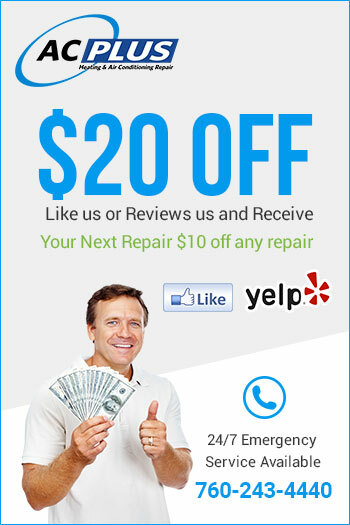 Be sure to hire a reputable service company, like AC Plus, to eliminate the need for a second opinion. How Long Should My AC System Last Before it Needs Replacing? ACs vary from manufacturer to manufacturer, so the lifespan of your system will depend on several factors. If you can't recall when you've had your system serviced last, if your home is at least ten years old, or if you've noticed inefficient cooling, it's probably time to call a technician in to have a look. While most service calls result in an affordable repair restoring efficiency, there will come a time when you will need an air conditioning replacement in Apple Valley. When that time comes, AC Plus will be here for you. We can recommend a new AC that improves cooling efficiency and saves you money. At AC Plus, we highly recommend pre-season maintenance to thoroughly inspect your air conditioning system, look for worn out or broken components, and determine whether your system is fit for another long, hot summer. Waiting until summer is in full swing could result in having to wait for an available technician to come out and inspect your air conditioner. Call us when things are just starting to warm up for the fastest response from our team. Rest assured, when your air conditioning system needs replacement, we'll be here to offer professional advice and recommendations, along with 5-star customer service, day or night. If your AC system goes out in the middle of the night, don't hesitate to give us a call- we offer 24-hour emergency repairs and air conditioning replacement in Apple Valley. Your home is a place of comfort and should provide you with cool respite on a hot summer day. The last thing you want to do is come home to a sizzling, stuffy home when your air conditioning system isn’t working. Sometimes you can get your air conditioner repaired but when repairs become difficult and costly it may be time for air conditioning replacement in Hesperia. Do I Need Air Conditioning Replacement in Hesperia? If your air conditioning system is getting old and seems to be unreliable it may be time for air conditioning replacement in Hesperia. Your central air conditioning is a mechanical system with several main components. At some point the unit wears out and it becomes more cost effecting to replace the system with a new one. There are many advantages to replacing your old air conditioner. What Are The Advantages of Replacing My Air Conditioner? There are many advantages to air conditioning replacement in Hesperia. One of the most important benefits of a new air conditioner is that it will likely be much more efficient than your old one was. You may notice better cooling and lower energy bills as a result of the new air conditioner. A new air conditioner will last for many years. With proper maintenance you won’t need to be worried that your air conditioner will suddenly stop working or that you will have an uncomfortable home. A typical air conditioner should last about 15 years on average. It is best to take good care of your system so that it lasts as long as possible. An annual inspection and tune-up will ensure that the unit continues to be reliable for many years to come. When your air conditioner is older than 10 years of age and begins to require repairs it may be time to start thinking about getting a new unit. An experienced HVAC technician will inspect your air conditioner and provide you with an estimate for air conditioning replacement in Hesperia if it is required. Do I Need to Replace The Entire Air Conditioner? It is generally best to replace the entire air conditioning system at the same time. While you can replace just portions of the system it won’t function optimally. You really should replace the whole system in order to get all of the benefits of new air conditioning. Most likely, the entire system is the same age and if part of it is broken it is very likely that the rest of it will also break down shortly. Have your system examined by a qualified HVAC technician. The technician will determine whether your system is ready for replacement. There are many high quality air conditioning options to consider. Have the new system installed by a licensed specialist with a team of experts who are able to size the system properly and professionally install it to provide you with many years of service. Contact our company today to get an estimate for a new air conditioning system. Air conditioning systems play a fundamental role in people's well-being, especially in places with very hot climates. They make it possible to enjoy a pleasant temperature inside homes, commerces, and companies even when the outdoor conditions are extreme. For these devices to provide all their advantages, it is essential that they remain at an optimum operating level. For this, the wisest thing is to periodically clean and maintain the unit. However, after years of use, there comes the point at which maintenance is not enough. In those cases, the best thing to do is to replace your air conditioning system. It is essential that you establish criteria to decide if it is appropriate to make a change to your current air conditioner, and the advantages this will bring you. When Should You Replace Your Air Conditioning? Age: These units are usually designed to operate for 15 years. After that time, you'll most likely begin to experience faults, even if you've maintained it. Investments in air conditioning repair can be significant and can outweigh the purchase of new equipment. Freon gas: Previously, air conditioning systems used freon or R-22 gas to cool. This is a high-cost refrigerant, which can ultimately damage the equipment if a leak occurs. Today's new equipment uses less expensive, less risky refrigerants. Energy efficiency: old devices are inefficient and therefore consumes more energy. This means overspending on your electricity bill. When you replace the equipment, you'll make significant savings in the long run. 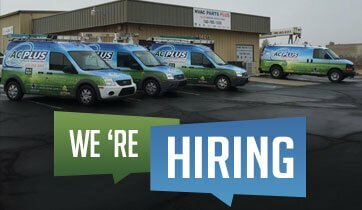 If you are considering air conditioning replacement in Spring Valley Lake contact us; the specialists at AC Plus will be happy to advise you. Frequent failures: the costs of continually repairing equipment are not only economical. You also lose time and suffer a series of inconveniences. By replacing the air conditioner, you will have peace of mind to enjoy a high-tech, efficient and low-consumption new device. Utility: the most important thing when evaluating the replacement of an air conditioning, is whether the equipment is providing the proper welfare in the environment where it is installed. Over time, the appliance cools less and does not generate that pleasant atmosphere in the spaces. It is also possible that you have made improvements to your property, and today the equipment is not enough. Which are the Advantages of Air Conditioning Replacement? Warranty: now you don't have to worry about investing in repairs, as the manufacturer will be responsible for any failure or damage to the unit. Durability: technological advances make new air conditioners more efficient, and therefore their functional parts do not deteriorate quickly. Noiseless: the new models do not emit loud noises, or the usual buzzing. This will not only increase your comfort but will help prevent sonic pollution in your community. Are You Ready To Enjoy Your New Air Conditioning? If you want to make an air conditioning replacement in Spring Valley Lake and you are looking for the best options in the market, AC Plus has for you the best equipment available. We work with the best brands on the market, which guarantee you years of wellness and a pleasant climate. Contact us and ask for our excellent financing plans at 0% interest.